We love hosting giveaways and we love it even more when someone sends something back to us using the prizes. 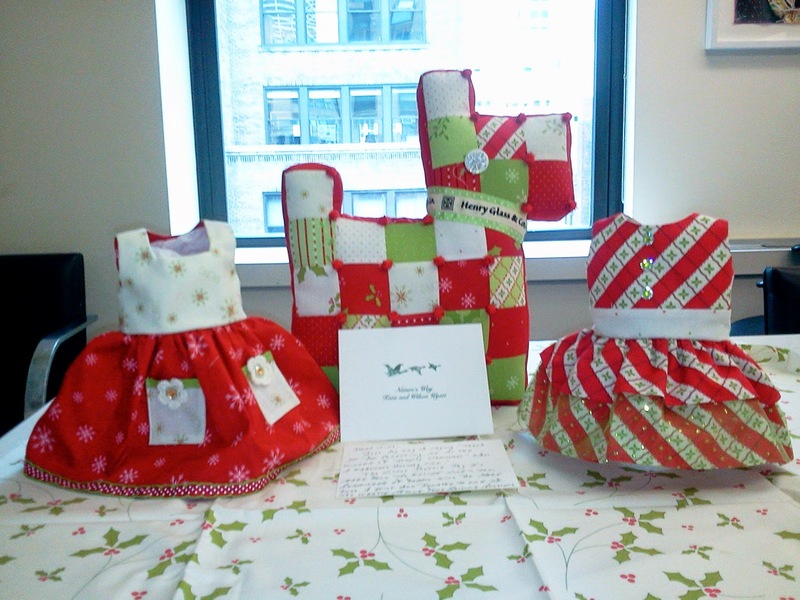 Although isn't a requirement to send something back to us, Katie Wyatt gifted us with some special finished projects. 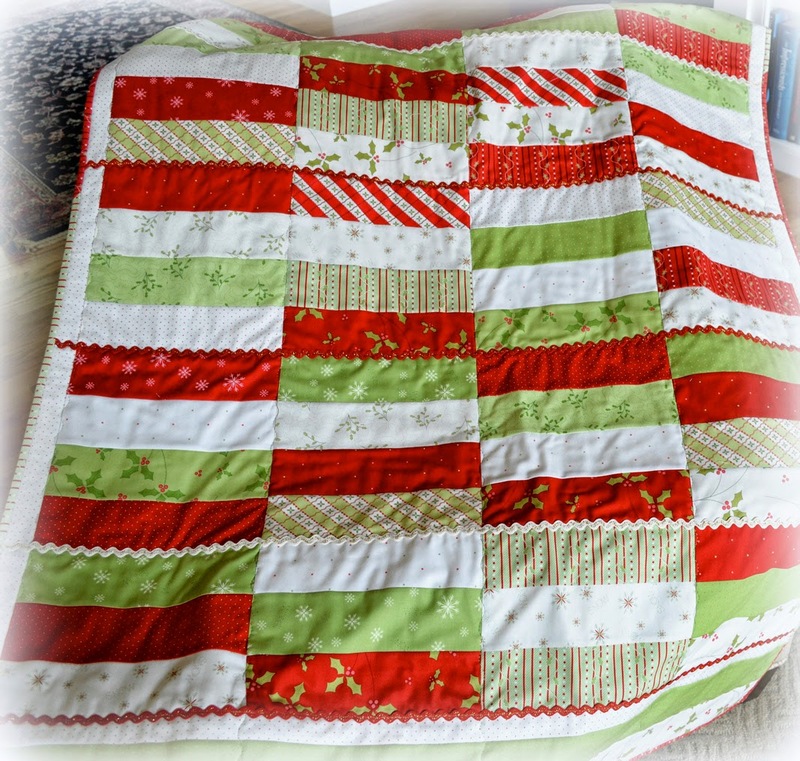 She had recently won a bundle of "Simply Christmas" by Mary Jane Carey of Holly Hill Quilt Designs. A short time after receiving her fabric, we received these beauties in return with a lovely card. 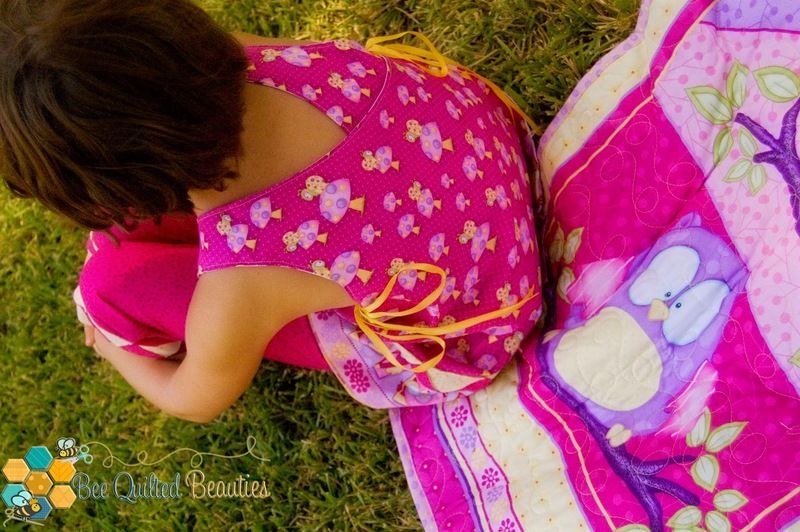 She made several other projects from the fabric that we sent her and all we can say is wow. We asked her to tell us a little about herself. She is a talented sewer but also a generous soul. Thank you Katie Wyatt. Katie’s love of sewing began in high school. 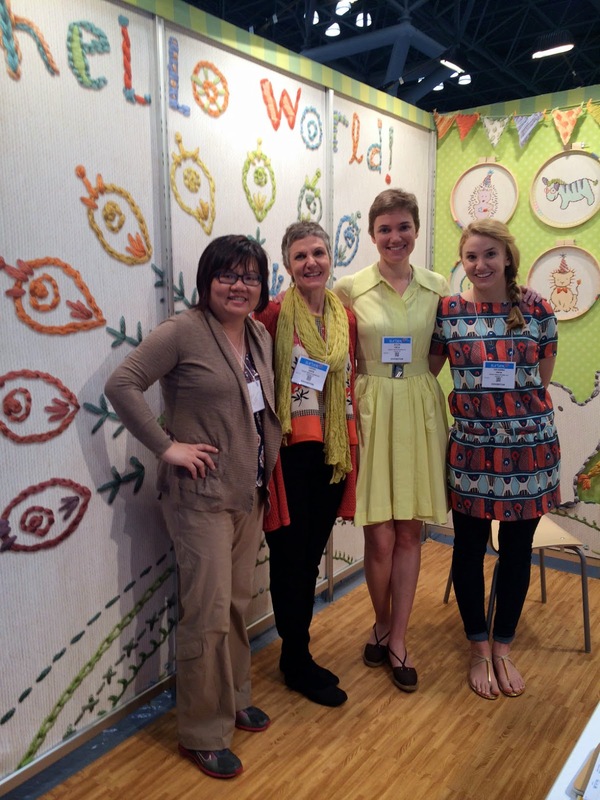 After a many year break from fabric and the sewing machine she was encouraged to return to this art by her sister. 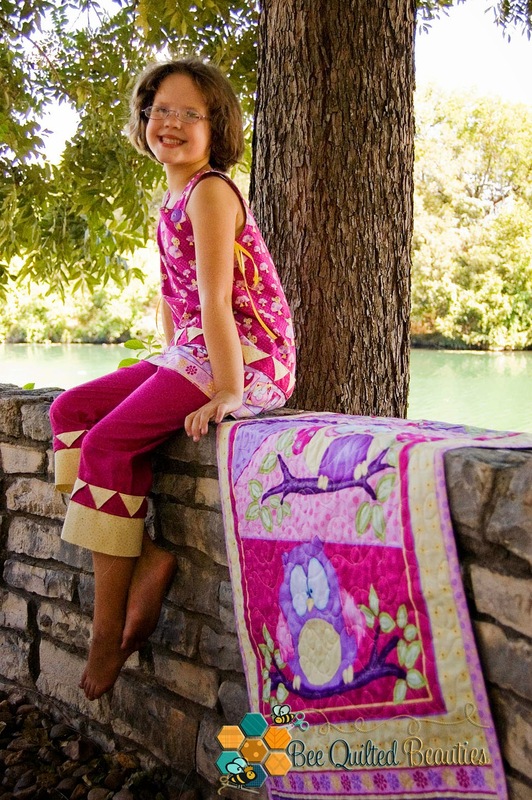 Katie has made [and continues to make] countless quilts, which are donated to help raise funds. The money raised is used to aid in the recovery of sick westies released from puppy mills or owner surrenders. This fund raising cause is a very passionate one. Also Make-A-Wish Foundation has received several quilts for local children to use to keep them warm when while receiving drug treatment therapy. 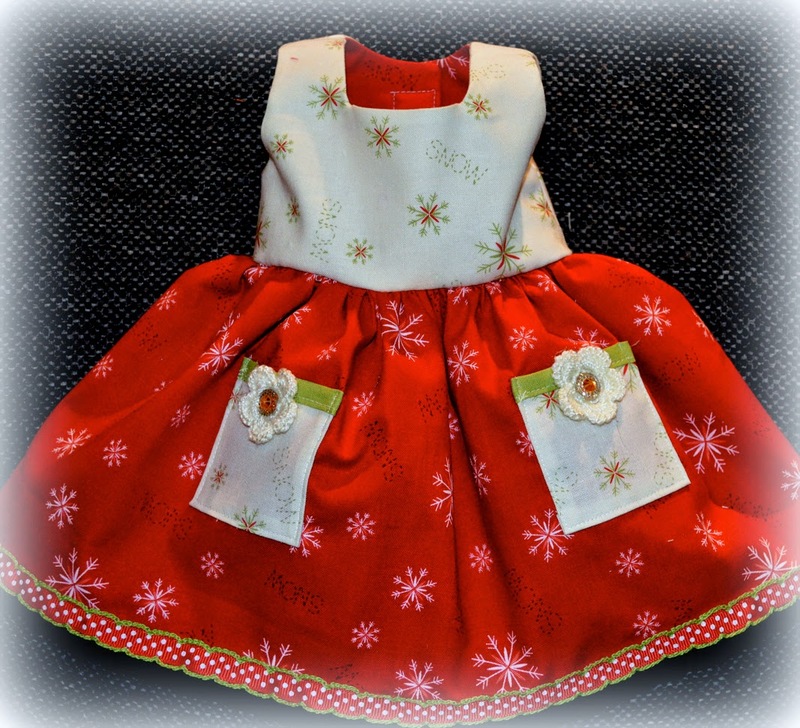 Her love of sewing extends to creating doll clothing for the American Girl. All clothing is given away. 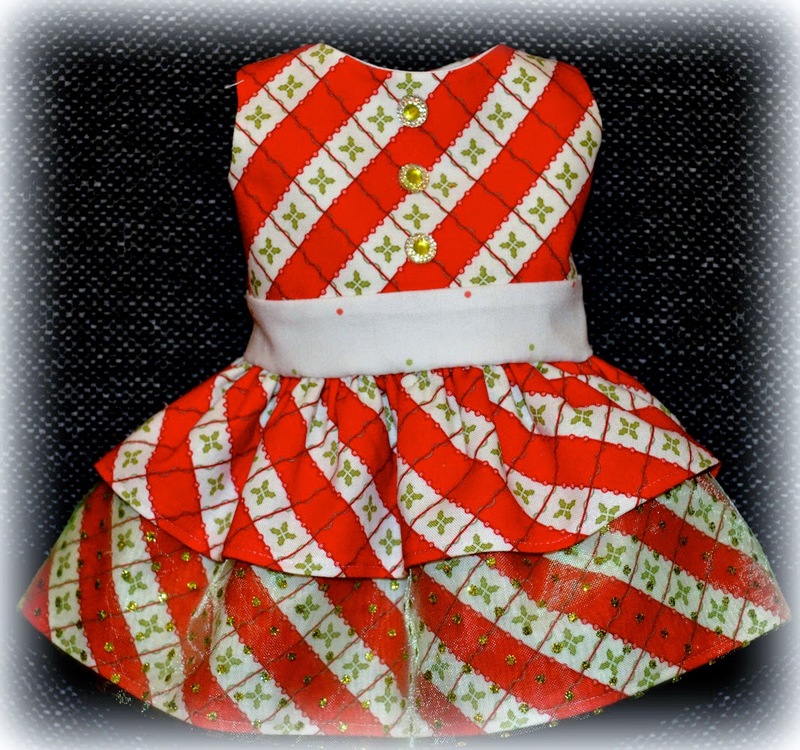 To view Katie’s blog showcasing her American Girl clothing and quilts visit www.katiesews4fun.blogspot.com. Trying to keep the art of sewing alive she co-teaches classes at the local YMCA. There Katie and the several members of the Bayside Quilters Guild teach young girls how to sew clothing using the American Girl doll as a model. 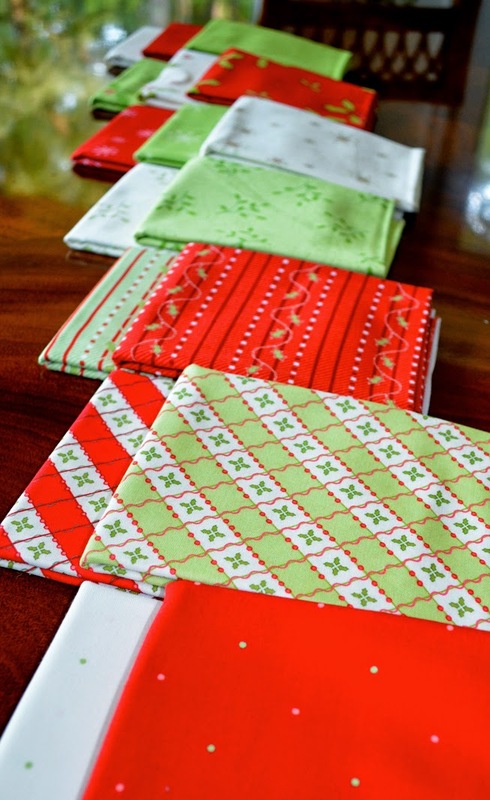 Classes for young students are designed to keep the art of quilting alive. Thank you so much for sharing and for your gift! 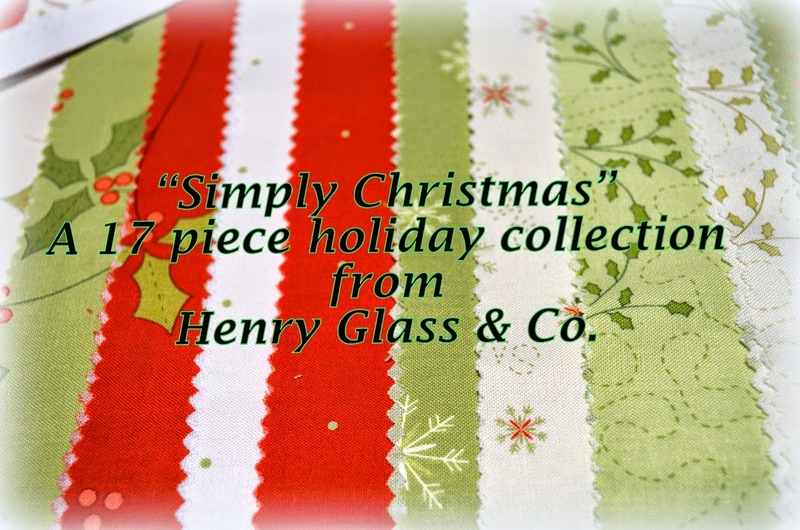 Stay tuned for a big giveaway coming up soon by following the Henry Glass & Co. blog or liking our Facebook page. It is time for another fabulous edition of "Desire To Inspire" and each time we are in awe of what each challenger comes up with. Remember, if you want to be considered a challenger, following the instructions below. We welcome quilters and sewers of any level. Be patient. We get a lot of submissions but we will get to each one of you. This month our challenger was given a selection of "Whoo Me?" by designer Shelly Comiskey. This adorable collection features owls, mushrooms and other woodland things in a blue or a pink palette. View the entire collection here and here. HG: Where do you live? HG: Tell us about your family. KL: I'm a Work At Home Mom with two kids that I'm homeschooling. My fiance is a computer programmer and we will be getting married on March 21, 2015, the first day of Spring! 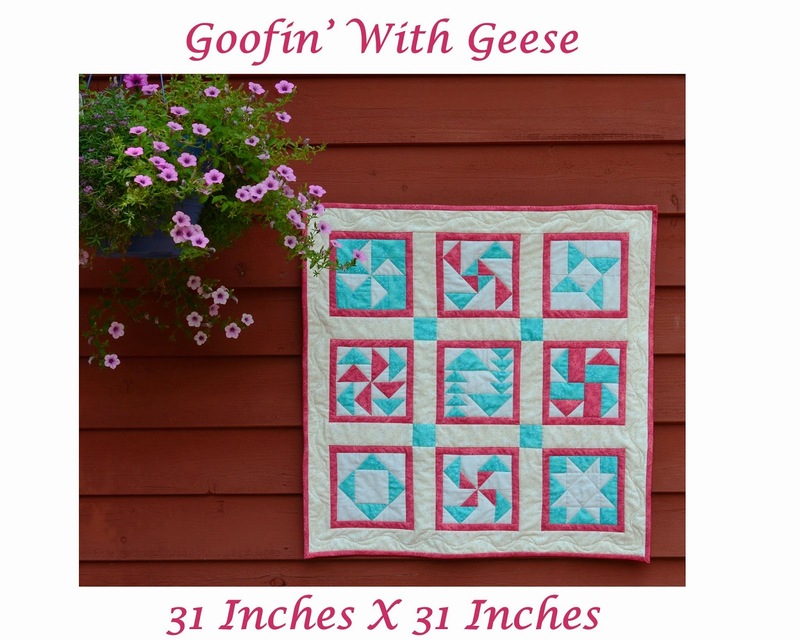 How long have you been quilting I actually don't quilt! 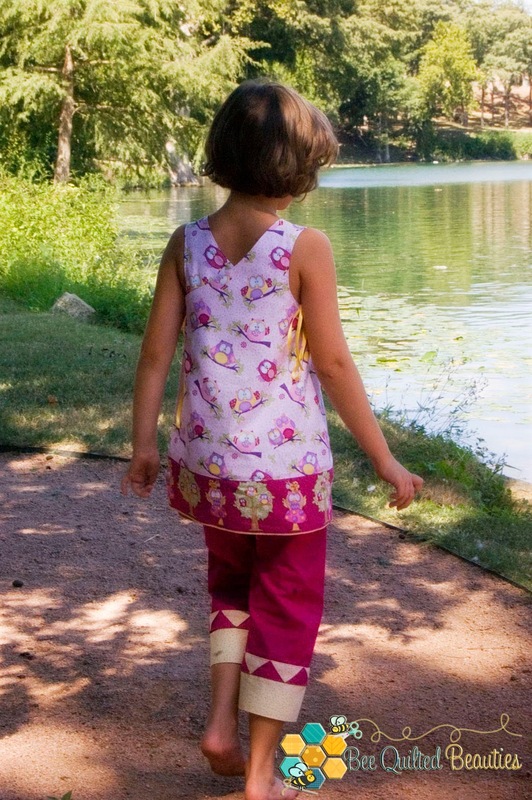 I make clothing, mainly children's. My mom did help me to turn the panel into a small little picnic quilt for my daughter. 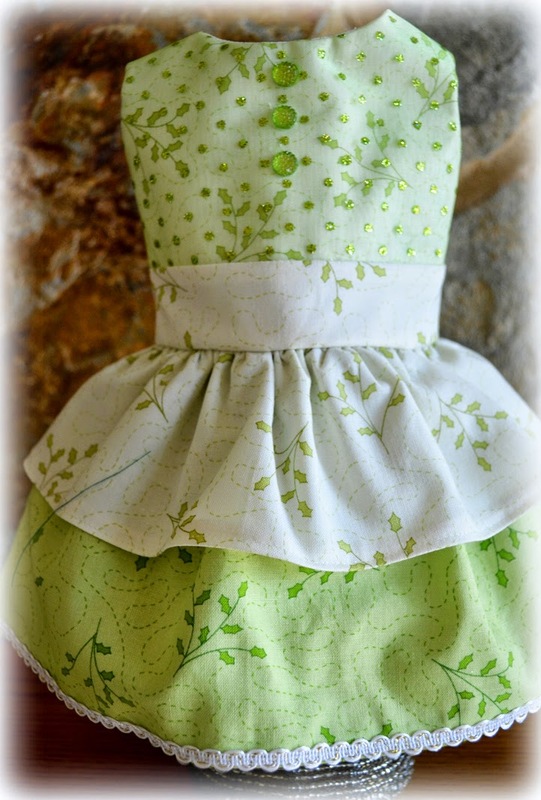 I have been sewing for as long as I can remember. My mother and great-grandmother taught me to sew and I am currently teaching my children how to sew. HG: What's your favorite technique? KL: I don't really have a favorite quilting technique, but I do love to add historical trim to my garments. On the outfit I made my daughter, I used some Victorian techniques for trimming the cuffs of the pants and the band of the top on one side. HG: Who taught you how to quilt? 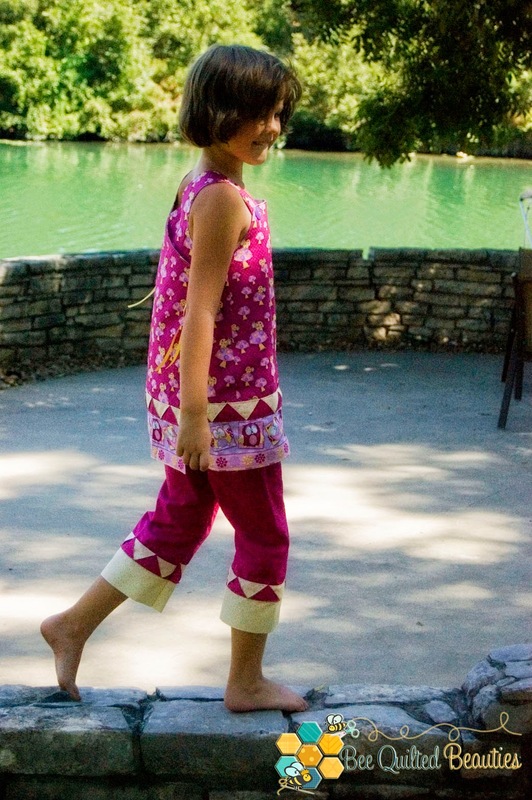 KL: My mother has taught me a little about quilting, starting with running her long-arm. That's been my favorite part so far! HG: Do you belong to any guilds? KL: No, but I hope to join the DFW Costumer's Guild soon. I know it's not quilting, but I have a deep love for historical costuming! KL: I had a lot of fun working on this challenge. I love pushing myself and I really feel like I did that with this one. 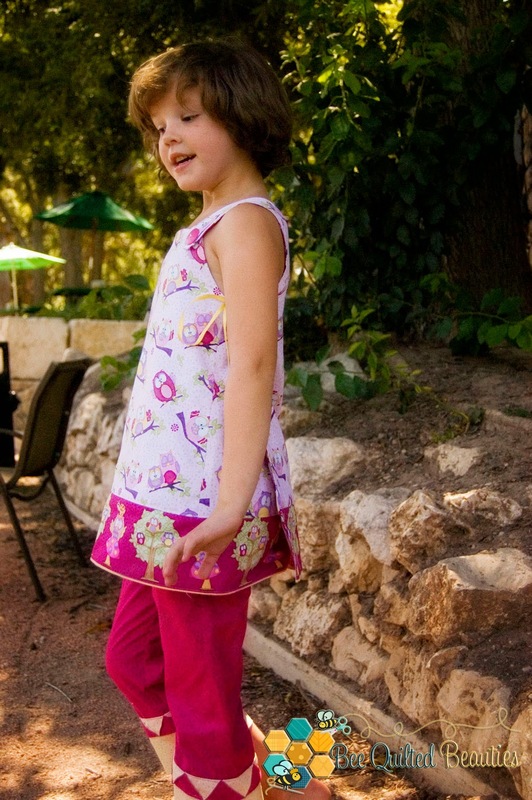 The top pattern I used was only supposed to be lined, but I made it reversible, giving my daughter two different looks with the same top. Thank you for the chance to hopefully inspire others! HG: Thank you so much! Your designs are lovely and your model is cute. We are excited to see the Henry Glass book, "A Flair For Fabric" in previews. We worked hard with our publishers, Martingale and Co. to bring you this awesome compilation of projects from the Henry Glass designers. Publication date is November 1, 2014. 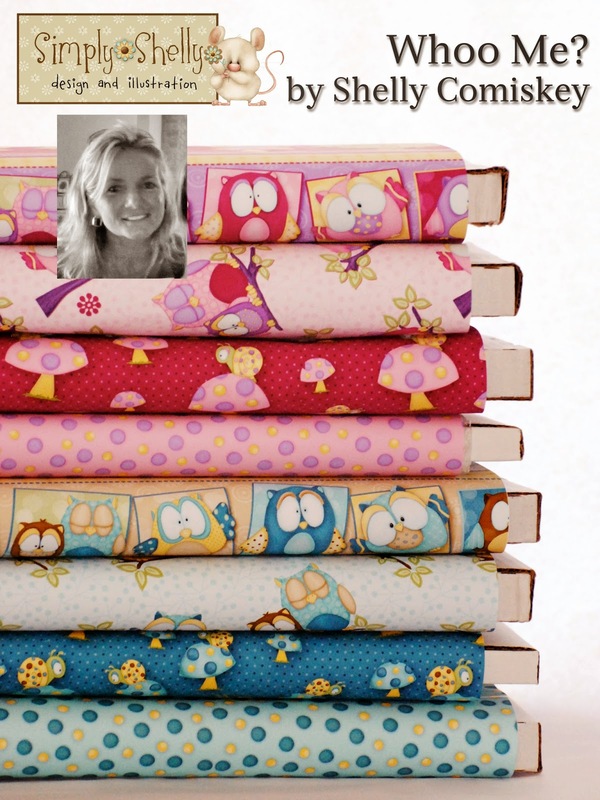 Stay tuned for book signings at Quilt Market and a book tour here in the near future. You can check it out at your local retail shop. Here are a few images from the book. Designer Jill Finley of Jillily Studios sent over the latest installment of her pdq*[PRETTY DARN QUICK] Club project. 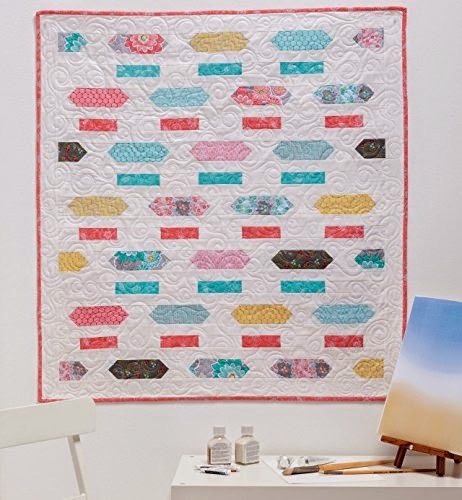 This month, she has designed a simple but lovely quilt using her "Park Drive" line. Download Garden Delight. We love the binding treatment. So interesting. In case you are new to the Henry Glass blog, you can access all of her past projects by clicking the link on the right sidebar. 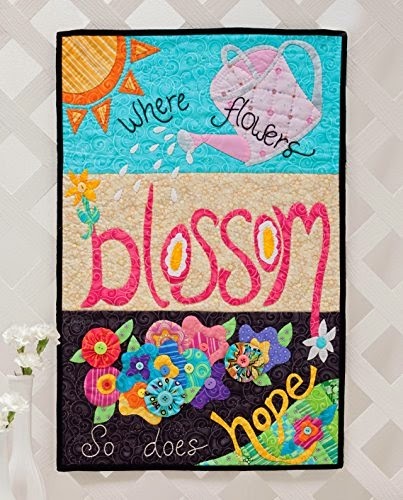 Her beautiful "Park Drive" collection, which includes florals, paisleys, a toile and other sweet images, should be in quilt shops this month. "Park Drive" coordinates with Jill's fun "Jams & Jellies Basics" too! 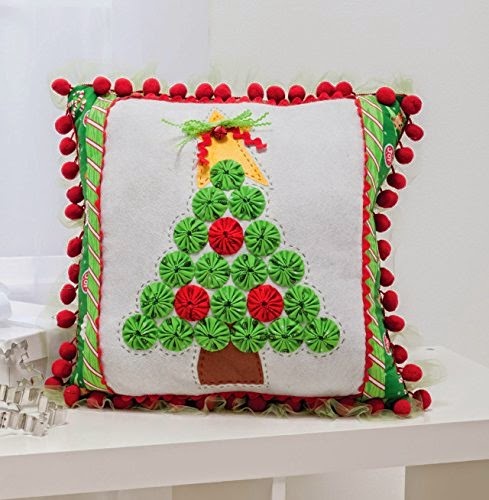 You can find the collection and the link to the free pattern download here. If you haven't seen her current collections yet, make sure that you view them on the Henry Glass website by clicking here. Little Quilts sent us this photograph of a gorgeous block that they stitched up using their "Pheasant Run" and a note. Enjoy! It is a gorgeous block. 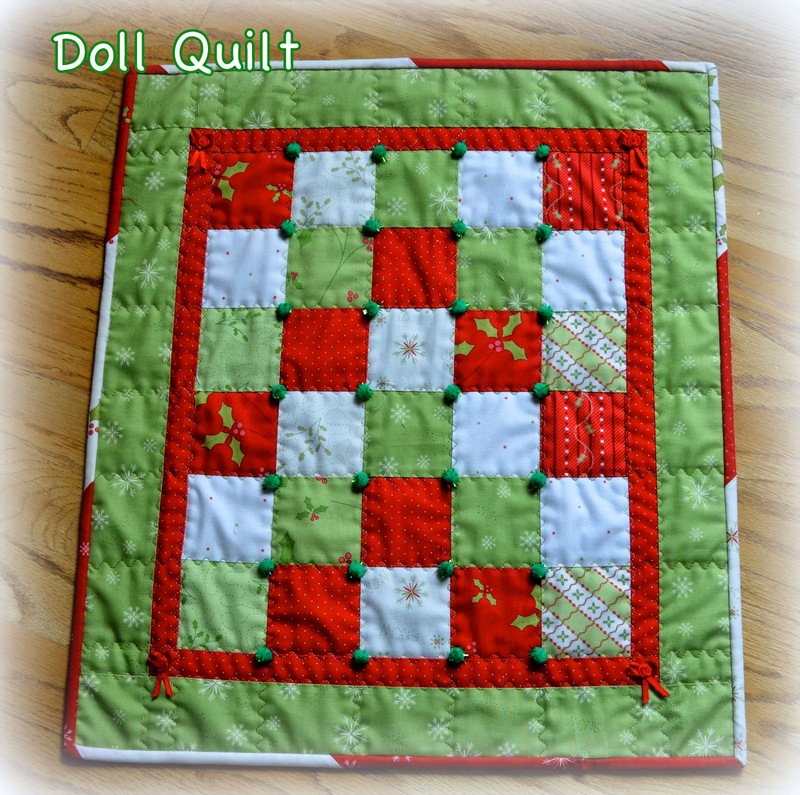 "We’re doing a Lucy Boston “Patchwork of the Crosses” Blog Along on the Little Quilts blog. Posts appear every Thursday. 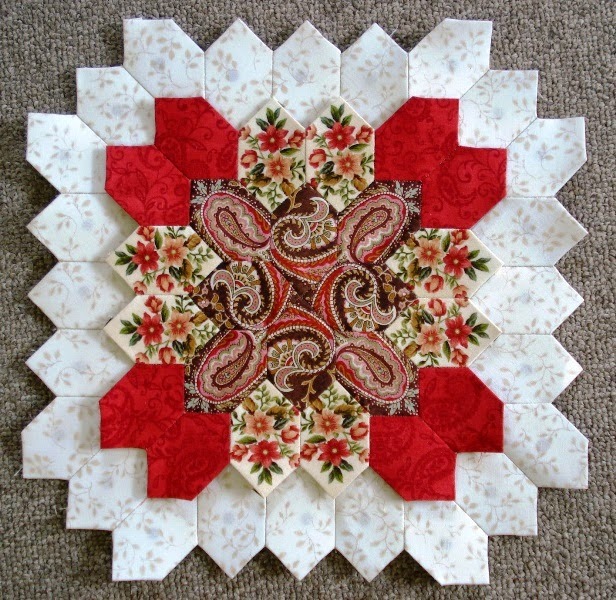 I post tutorials on English Paper Piecing, fussy cutting, history of Lucy Boston, information about the Manor house she lived in, and, of course, the blocks I’m making. 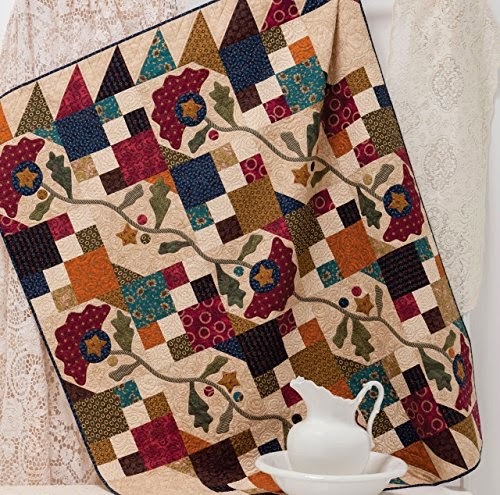 One of my favorite blocks, see picture attached, is the block I’m featuring tomorrow which was made with “Pheasant Run” fabric line. Gorgeous! Here’s a link to our Blog Along if you’re allowed to link people back to our blog." Happy weekend! 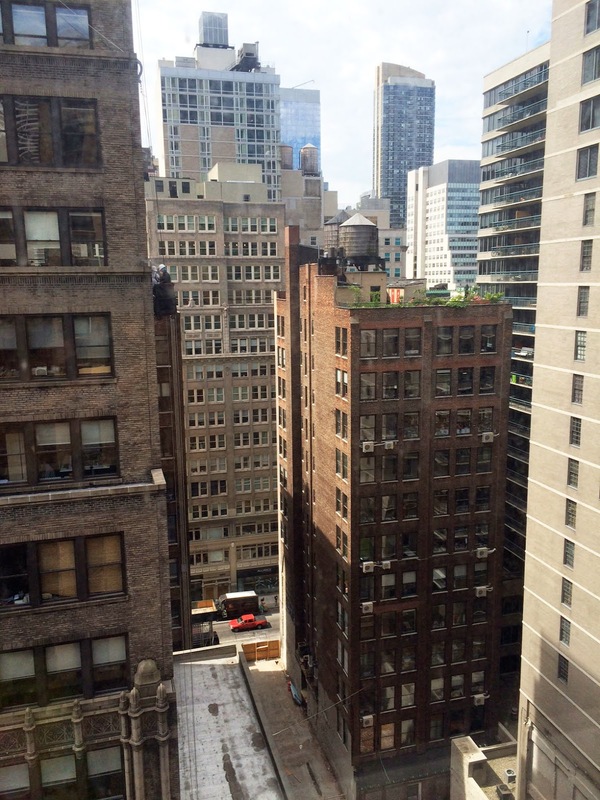 The view from the Henry Glass offices is gorgeous today. Inside we are working on our Quilt Market Fall 2014 plans. New booth and new collections in the works. Some great news. 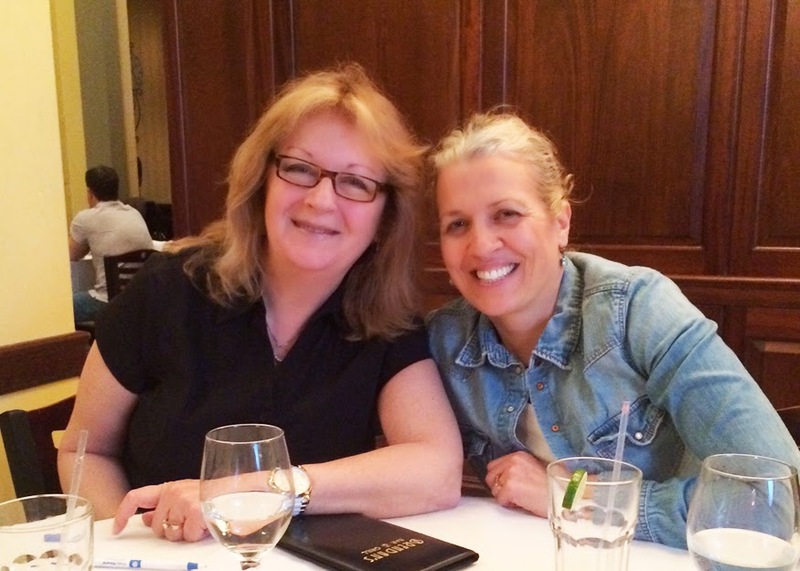 Martingale & Co. informed us that our upcoming book has been sent to the publisher! We can't wait to share it with you. 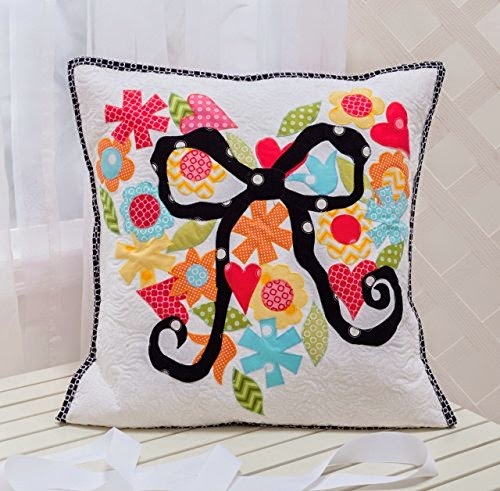 As readers of this blog, you know how much we love it when you send in a photograph something that you've made with our fabric. This week we received the photograph for "Goofin' With Geese" by Maria Tavy Umhey. 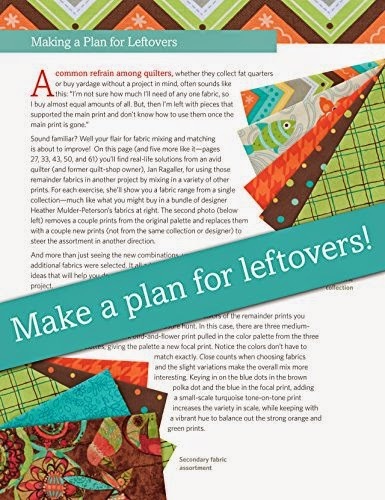 She recently designed a quilt that will soon make its appearance in "The Quilter" magazine. 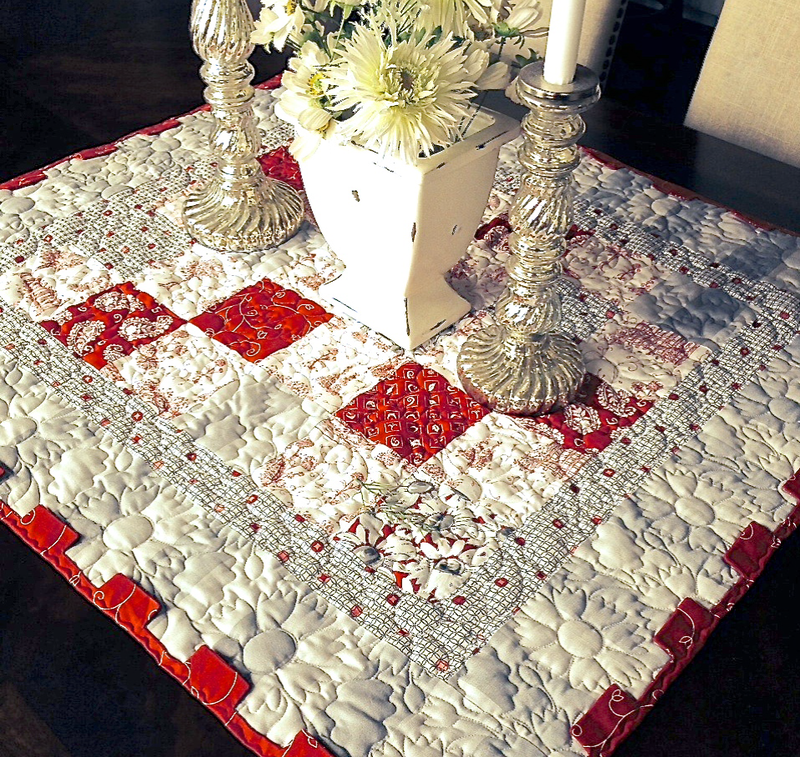 Maria used our "Folio" collection and the scraps left over from that project were used to make this beauty. 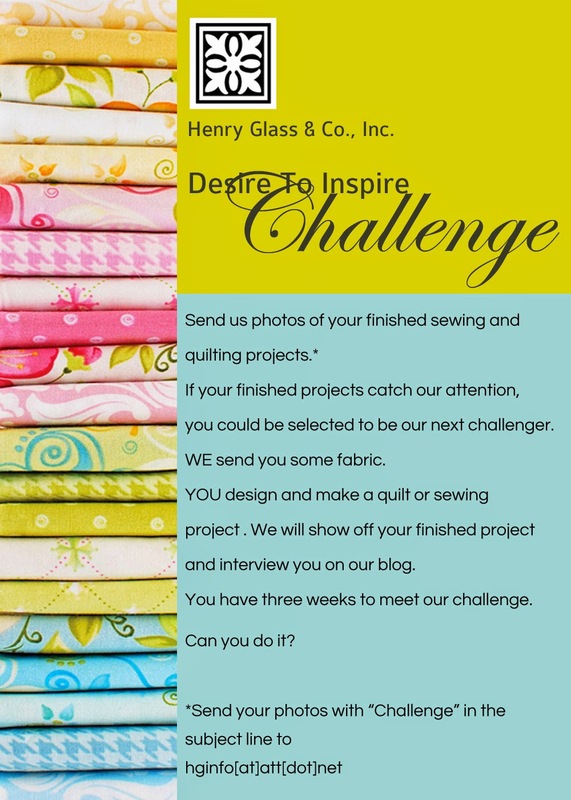 If you have a project that is made from Henry Glass fabric, we'd love to see it. Please send a photograph of your project here. 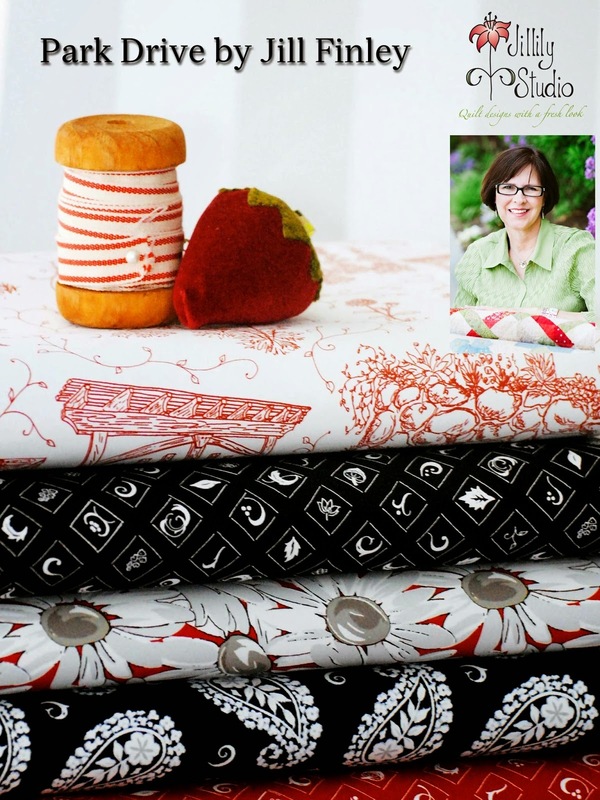 We also have the winner of Mary Jane Carey's fabric to announce. Congratulations and please send your contact information to Lisa. 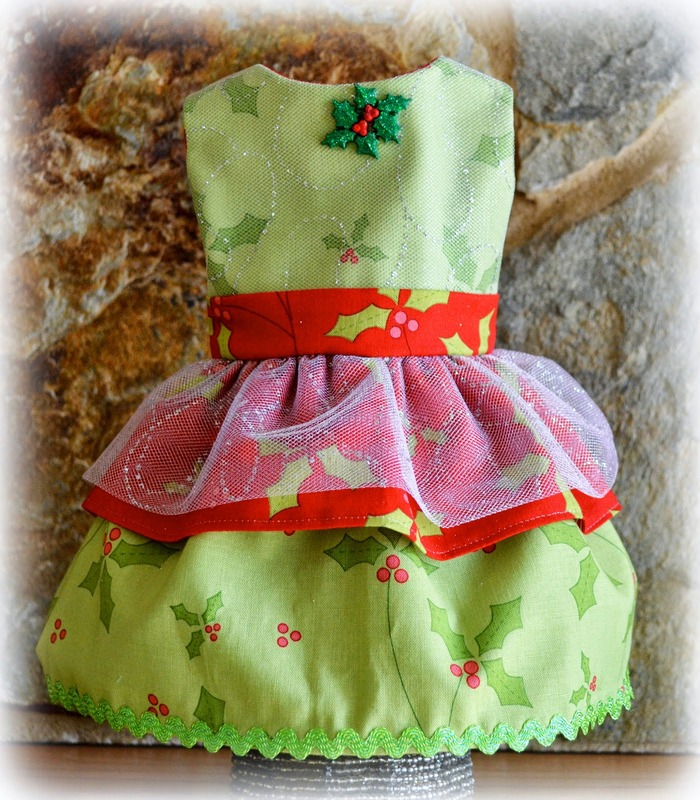 For a modern twist on Christmas sewing I like to usse Lime Green and a Bright Red. Have a great weekend and best luck to all those who have entered. 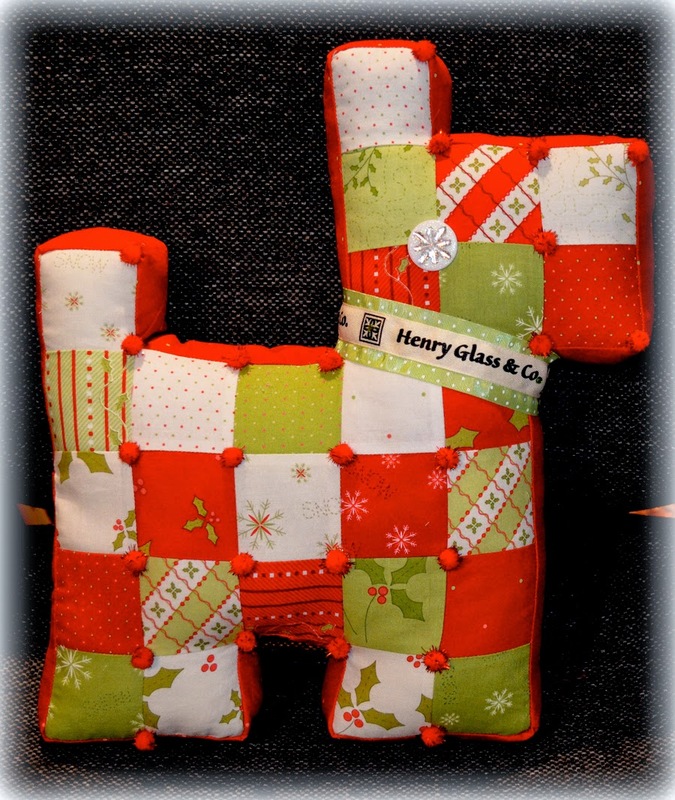 We mainly show fabric on this blog but it is great to always remember the wonderful people who work hard at making Henry Glass a success. We thought we'd share some fun photos of our designers.